Never has P I N K been taken to another level like this though. Our #MCM on a not so BLOODY MONDAY!!!! My name is Kamohelo Mokoena. 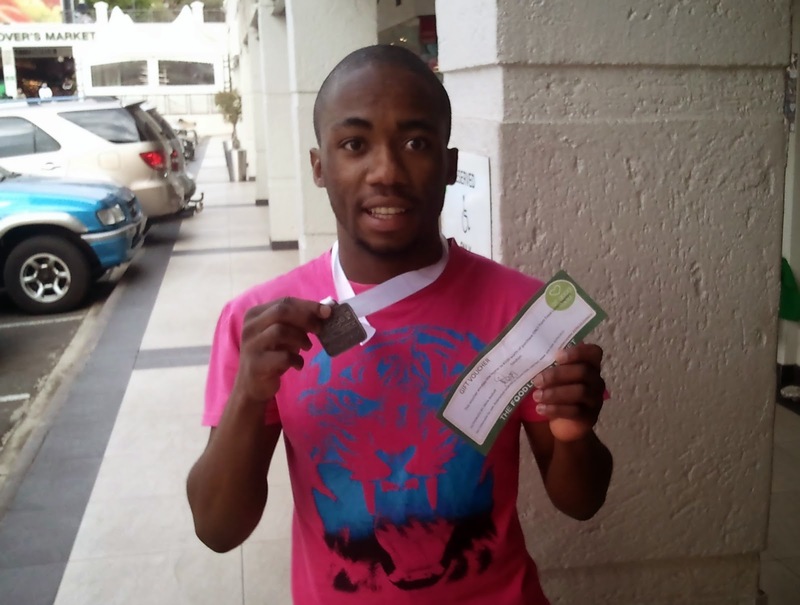 A Soweto born and bred runner. It is what I live for. Nothing intrigues me more than people who run. I have extreme respect. The endurance. The spirit that’s forever alive. The sense of hope. The positive atmosphere. 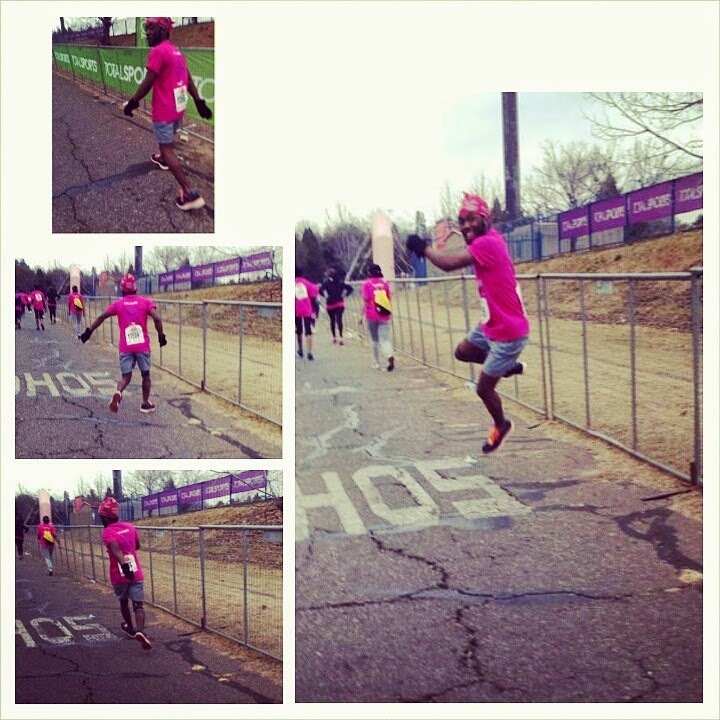 The endless support that runners always give each other. The winner mentality. The sense peace and safeness that one gets on the road. The group runs. The sense of belonging. The smiles. All these, truly unique, inspirational ways of life, are what make the culture of runners. An injury is of the most devastating aspects of running. I had to quit football due to a knee injury I sustained back in high school. 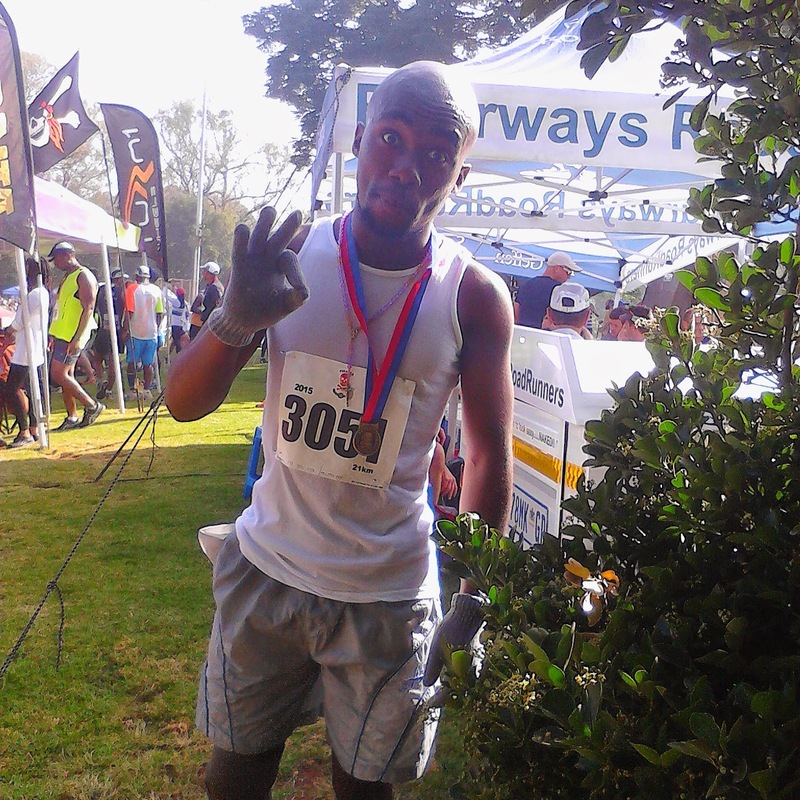 Fortunately, I would still be able to jog and do some light runs, however, I further aggravated the injury in 2013 while training and I had to off road over six months. By far one the most difficult, unpleasant periods I’ve had to endure in my life. It is then I realized I cannot live without running. It is my life. 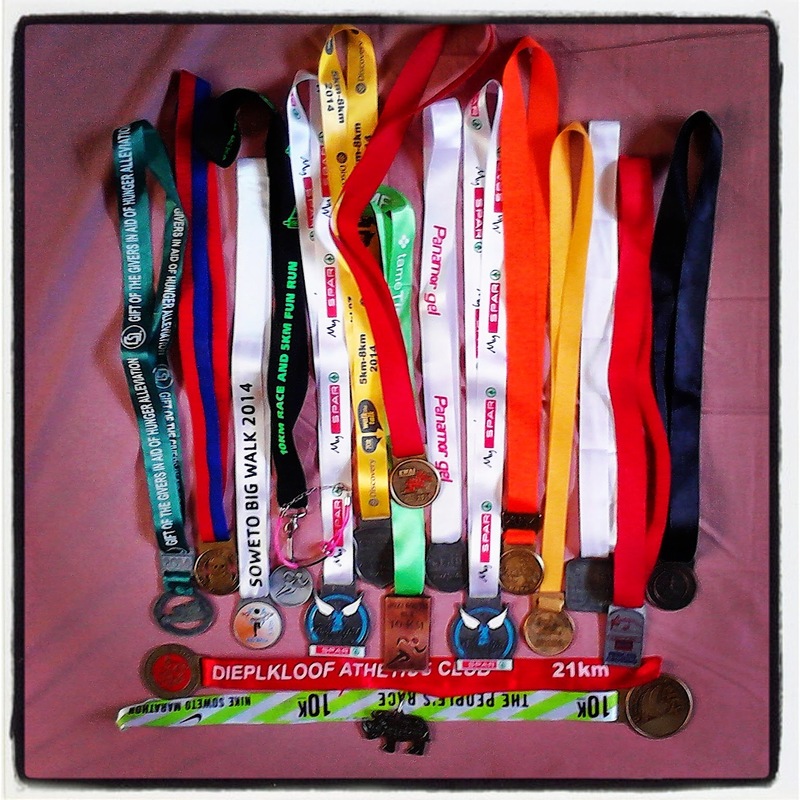 Running defines me. It is who I am. All I ever want to do. Till the casket drops. I regard personal time improvements as achievements as well. 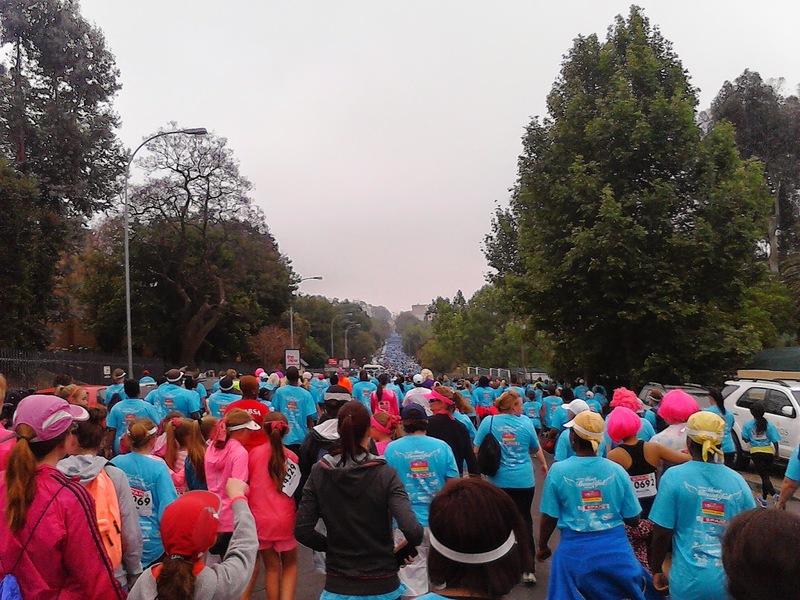 Going from an average of 58 minutes for a 10km to 48 minutes for a 10km is a major. 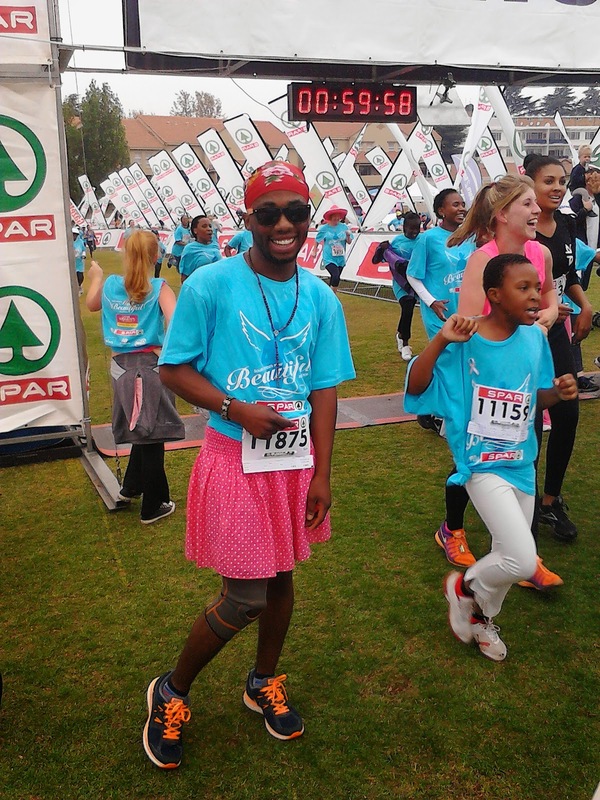 Apart from wanting to inspire others to open their eyes to the beaut that is running, my goal is to run my first 42km this year and to do one or two ultras. 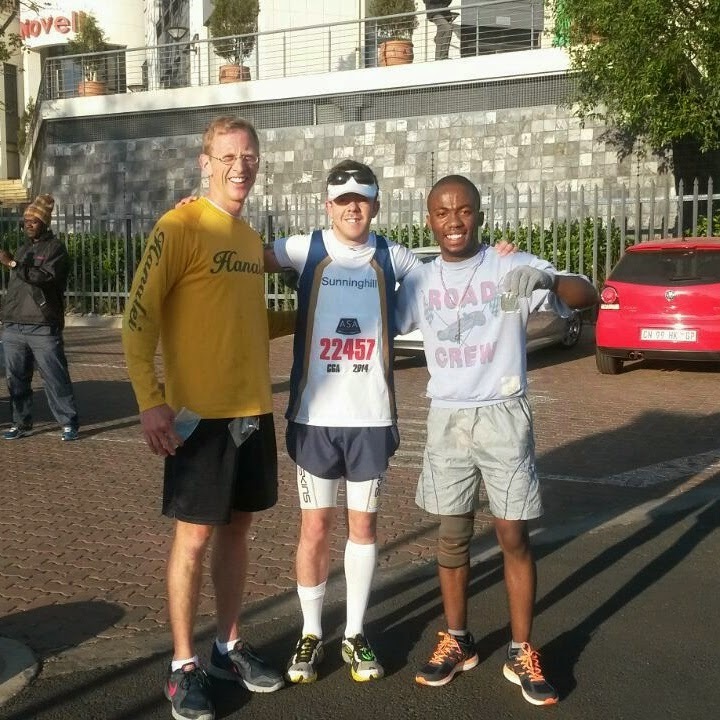 Long term goal obviously would be to run the ultimate human race, Comrades marathon. - Facebook – Kamohelo Mokoena. Pain is necessary. Pain is inevitable. Fortunately, other types of pain are temporary. I personally believe that the only way to enjoy and deeply comprehend the joys of pure pleasure, is to know the wrath of pain. Pain and pleasure are partners in this. One can’t have the other and not the other. They go hand in hand. If one looks at it positively, pain builds. It is a foundation for growth. I would love to leave behind a legacy of inspiration, priceless memories, a sense of love, positivity and smiles to those left behind.